A Gudu Upper Area Court, Abuja, on Wednesday granted N100,000 bail to a boxer, Bashiru Ali (a.k.a.Bash Ali) docked for alleged criminal trespass.‎ ‎The judge, Alhaji Umar Kagarko, ordered the defendant to provide one surety in like sum that must reside within the court’s jurisdiction. He adjourned the case till June 15 for hearing. The defendant was arraigned on April 3, on a four-count charge bordering on criminal trespass, intentional insult, inciting public disturbance and refusal to make statement. The judge had adjourned ruling on the defendant’s bail application after the defence counsel, Mr Tajudeen Adegbite, applied for his bail on self-recognition. 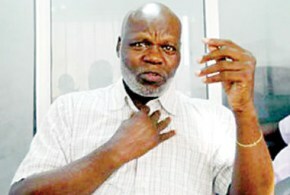 ‎The prosecutor, Oyeyemi Adeniyi, had told the court that the defendant criminally trespassed into the office of the Honourable Minister of Sport and Youth Development, Federal Secretariat, Abuja, on April 3. He said the defendant forcefully entered the office without the minister’s invitation and intentionally insulted the minister. Adeniyi said the defendant’s action attracted crowd and disrupted the activities of the ministry before the police within the premises intervened. He said that the defendant refused to make statement to the police when he was arrested. He added that the offences contravened Sections 348, 399, 114 and 143 of the Penal Code. The defendant denied committing the offences.